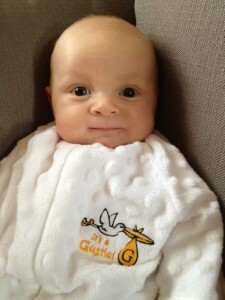 Erik and Jennifer Guptill Tone ’07 07 welcomed their son, Briar Robert into the world on November 25, 2012. He weighed in at 6 lbs. 12 oz. and 19.5 inches long.